If the cool kids want house and techno, it might only be a matter of time before the styles fall out of favor. EDIT: A previous version of this article contained the passage "FNGRS CRSSD is by no means one of the industry&apos;s tenured promoters." A more accurate depiction is that FNGRS CRSSD is a relatively new brand, but its founders themselves are indeed tenured promoters, and the passage has been changed to reflect this. Furthermore, the attitudes expressed herein belong to one writer and do not reflect those of Magnetic Magazine as a whole. Another CRSSD Festival has come and gone, and as carefully as its organizers curated the lineup for its 2016 fall edition it&apos;s difficult to imagine what future incarnations could bring to the table. Just shy of 15,000 revelers flocked to San Diego&apos;s Waterfront Park for the fourth biannual installment of the boutique gathering, but if not for the recent fervor surrounding house and techno I can&apos;t help to wonder how how the fledgling festival brand would fare. 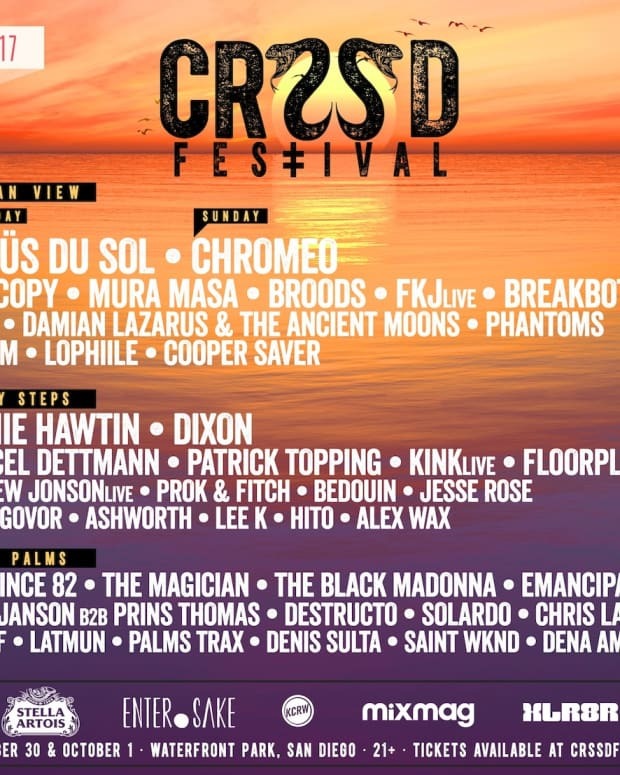 Featuring such artists as Maya Jane Coles and Felix Da Housecat with genre-benders like Malaa, Nora En Pure, Rezz and Cashmere Cat thrown in for good measure, CRSSD&apos;s 2016 fall talent roster was tasteful enough to appeal to its fair share of dance music purists (including me). 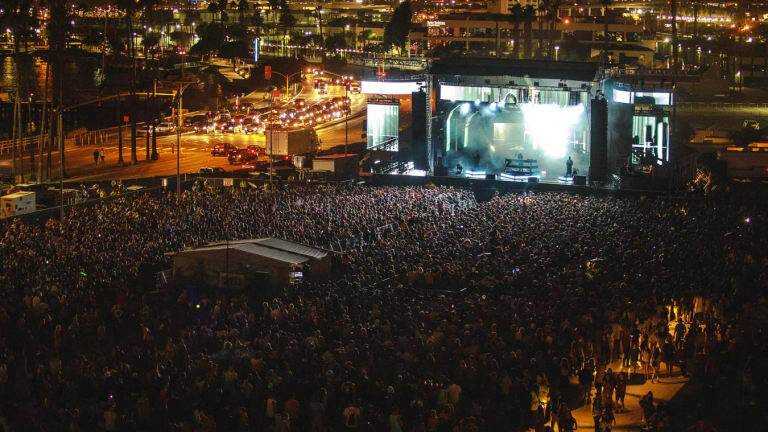 The 54 time slots were divided between two days across three stages, each of which was framed by the downtown San Diego skyline on one side and the bayfront on the other. The main stage - which the festival&apos;s organizers fittingly dubbed Ocean View - played host to more mainstream acts, where the City Steps and The Palms stages gave its more underground offerings a home. By my measure, the standout performances of the event were those delivered by Lee Foss, Justin Martin and Lido (the latter of whom used the opportunity to debut the songs from his newly released album a week early). 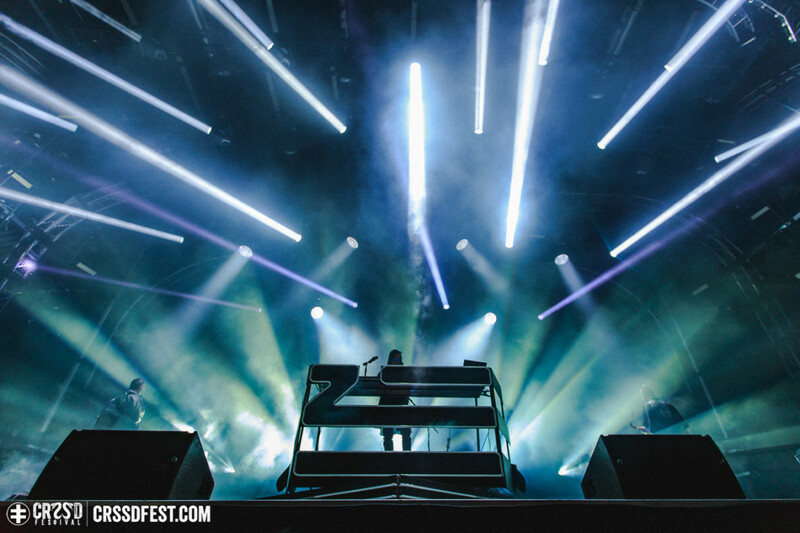 However, the set that encapsulated the ethos of the festival more so than any other was that of ZHU. The L.A. producer&apos;s unmistakeable fusion of pop, house and hip-hop simultaneously paid homage to electronic music&apos;s roots while paving the way for its future - which, whether or not anybody on the production side ever officially disclosed it, was the objective of the event brand. Zhu closing the 2016 fall edition of CRSSD Festival out on the Ocean View stage. Photo credit: Miranda McDonald. To that end, though, where CRSSD Festival&apos;s talent buyers succeeded in booking artists that wouldn&apos;t disqualify it from the itineraries of more selective dance music fans, the atmosphere of the festival left much to be desired. The staging elements and amenities gave the production a concerty air - and really, the throngs of youthful, hard-bodied San Diegans making up the ranks of revelers in attendance only made it feel all the more artificial. 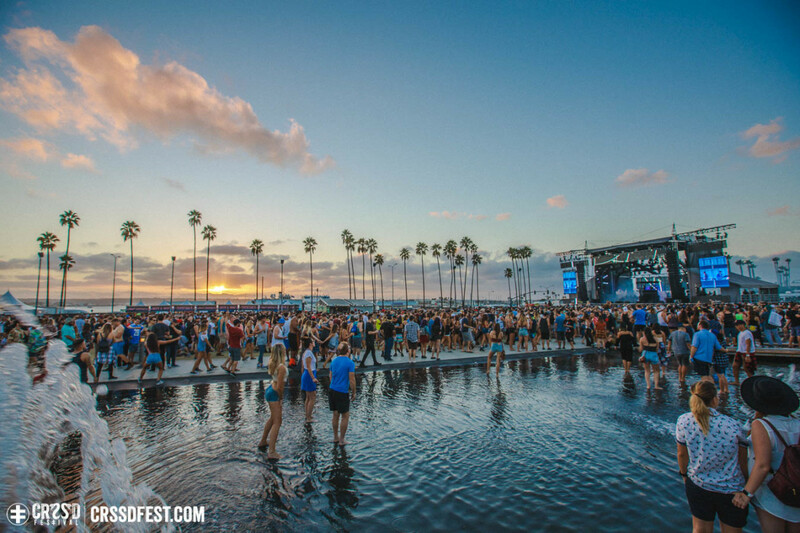 To the organizers&apos; credit, the original CRSSD couldn&apos;t have launched at a more opportune time. By 2015, the final shockwaves of the contemporary EDM explosion had left the North American festival market bloated, and much of the youngest generation of dance music enthusiasts came to identify with its more timeless styles. 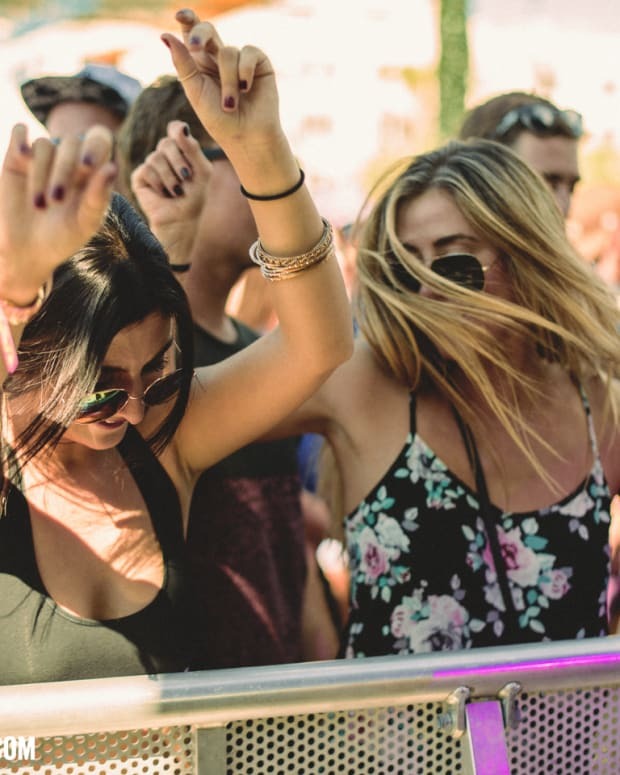 By announcing an entertainment roster for its 2015 spring edition that included such house and techno mainstays as Lee Burridge, Maceo Plex and Seth Troxler buffered with surefire draws like ODESZA, Chromeo, and Empire of the Sun, SoCal promoter FNGRS CRSSD capitalized on an untapped market by holding an event that garnered wide critical acclaim - and arguably set the stage for other large-scale music events to follow its lead. In early 2016, when Ultra Music Festival&apos;s organizers revealed CG renderings of this year&apos;s Resistance Stage, it became clear that industry leaders recognized the demand for underground dance music. 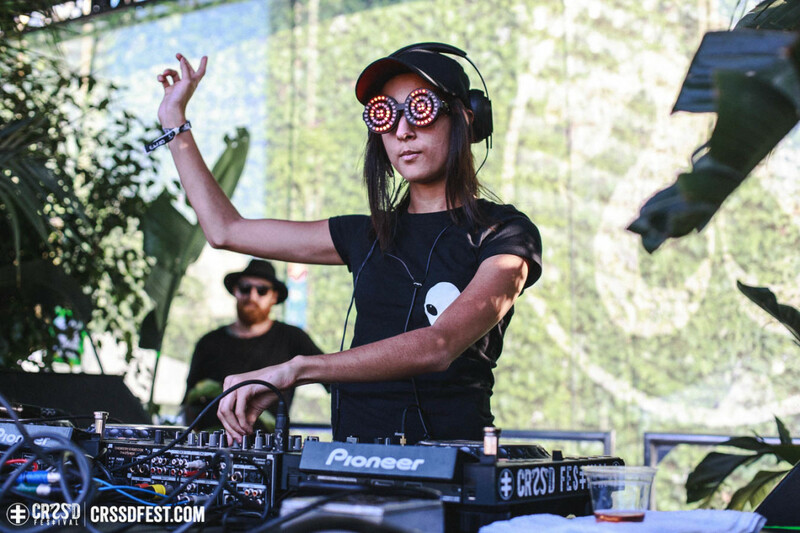 Rezz performing on The Palms stage. Photo credit: Felicia Garcia. Be that as it may, the rapidly turning tides of music trends suggest that it&apos;s only a matter of time before the novelty of an event like CRSSD wears off. Historically speaking, house music has seen a resurgence every several years and at the end of each cycle, its demise can usually be traced back to one key symptom: It became cool again. Of course, that&apos;s not to say that any newcomer&apos;s interest in house and techno is disingenuous or unwelcome by default. Plenty of the entry-level crowd has surely adopted this music for the right reasons - and besides that, if you demand exclusivity from the scene surrounding it, you only demonstrate your own failure to exemplify the inclusive principles on which it was founded in the first place. Nonetheless, a growing segment of the population attend festivals like CRSSD just to say they were there, and such a selling point alone doesn&apos;t exactly translate into business longevity. It would be one thing if the event organizer in question had longstanding local support working in its favor - and some argue that San Diego&apos;s rave scene dates back as far (if not farther) than that of Los Angeles, even if the former is largely overshadowed by the latter - but the FNGRS CRSSD brand itself is still relatively new. As recently as 2014, the company&apos;s founders, Johnny Shockey and Tyson Ziebarth (who, to be fair, are themselves tenured San Diego promoters), were still the faces of My Life Every Day, Identity Festival, and other mainstream events headlined by the likes of Steve Aoki and Afrojack. In fact, their relationship with Goldenvoice extends as far back as the year prior - so even though the Coachella promoter was reportedly not involved in CRSSD events beyond its 2015 partnership with Shockey and Ziebarth, you have to wonder how absent from the equation the company has actually been. What&apos;s more, the introduction of FNGRS CRSSD events like Groundwater (whose inaugural edition will take place at the end of this month on October 29th) only stands to oversaturate the market further. If the current house and techno boom does turn out to be little more than a temporary phase for most electronic music fans, then what will happen to CRSSD after it runs its course? Will it simply become San Diego&apos;s own miniature Coachella - or will its founders scrap it altogether like they did Identity Festival following its own two-year trial run? 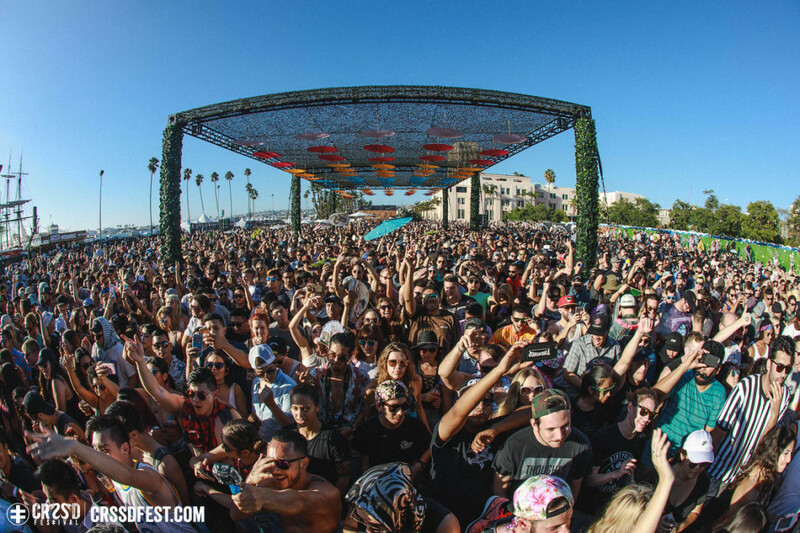 Nobody can say with certainty what the future holds for FNGRS CRSSD, but one thing is for certain: The advent of CRSSD Festival has reignited a long-dormant flame in San Diego&apos;s underground music scene. Outfits like Desert Hearts, The Deep End, Soul On Beat and Undercurrent Presents have benefited from the influx of house and techno fans, and a reinvigorated warehouse scene has found a home in the city as a result. Shiba San giving up the decks for Justin Martin. Photo credit: Felicia Garcia. 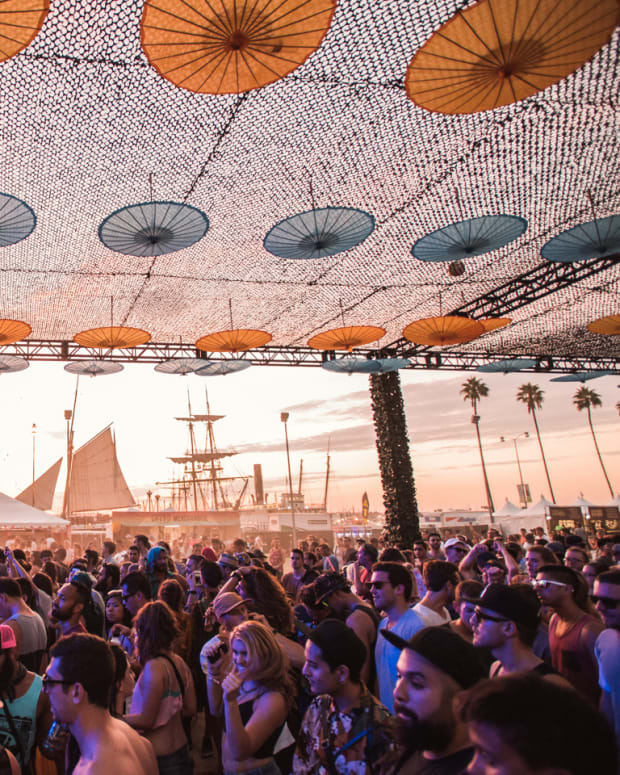 No matter what the immediate future spells for CRSSD, the San Diego rave scene as a whole looks to flourish in the long term as a result of the the seeds that have been planted over the past couple of years. Granted, house and techno may quickly be driven back underground as soon as the invisible hands of the live music industry wring them of their potential profits - but when they invariably surface again, the next crop of music fans will have a generation of elder statesmen from the current boom that can offer them guidance and perspective. 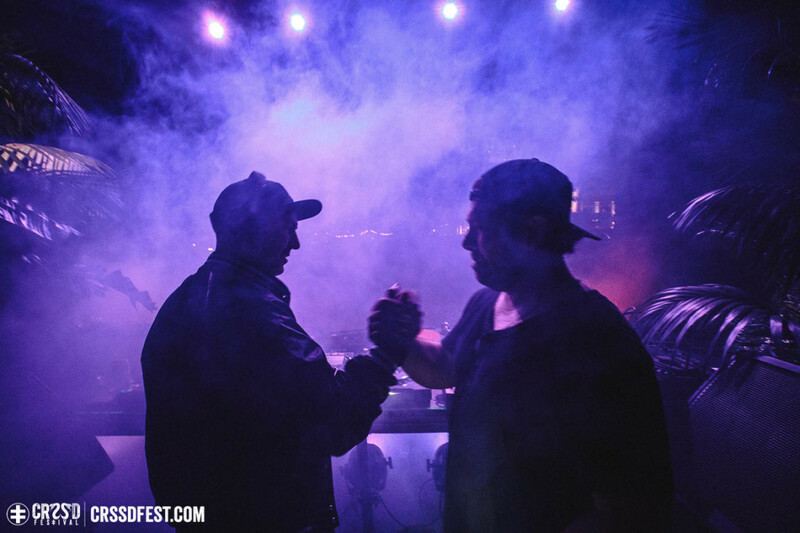 Just as the 2015 spring edition of CRSSD Festival in San Diego marked the beginning of an era, the installment that took place last weekend could very well bring it to a close. That&apos;s okay. One way or another the beat goes on.